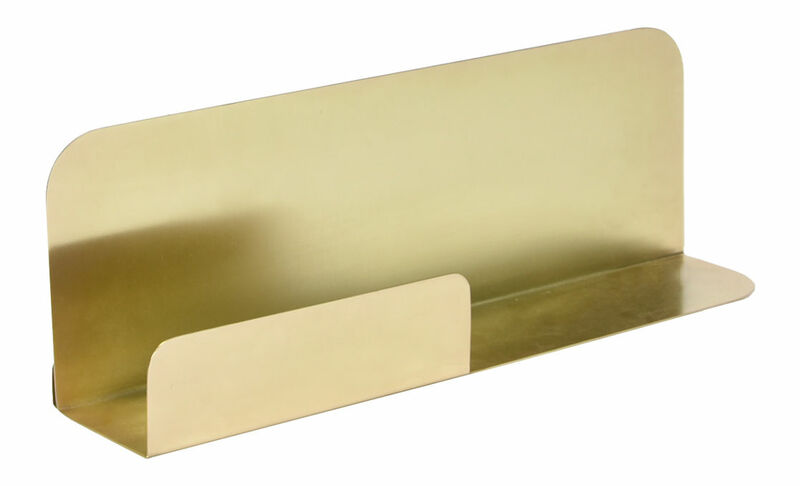 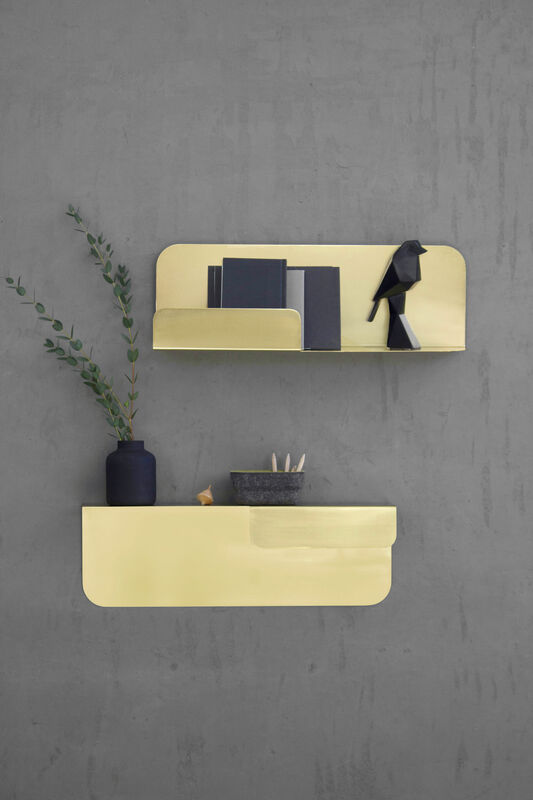 A little throwback to the 70s with Archal, a collection of shelves and organisers made from golden brass... Elegance, softness and rounded lines characterise this shelf in the shape of a rectangle. 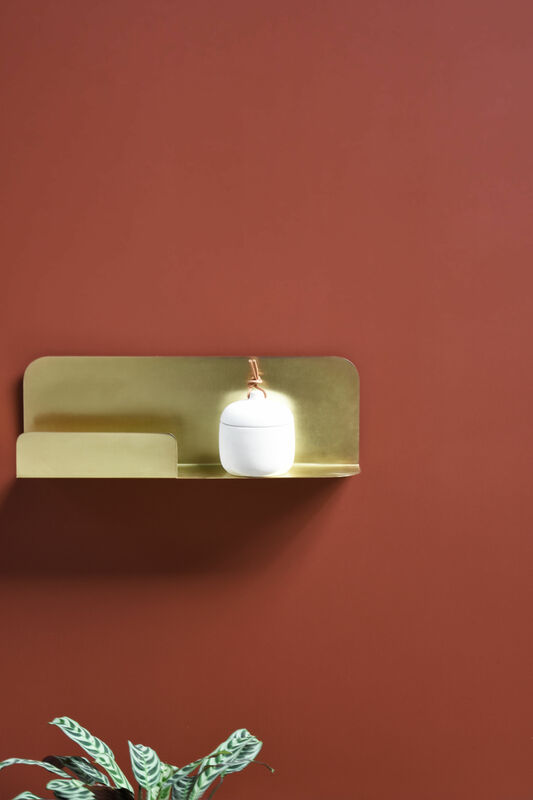 Its shiny colour and its original form with a small edge will allow you to decorate your walls really easily while adding a little modern touch. 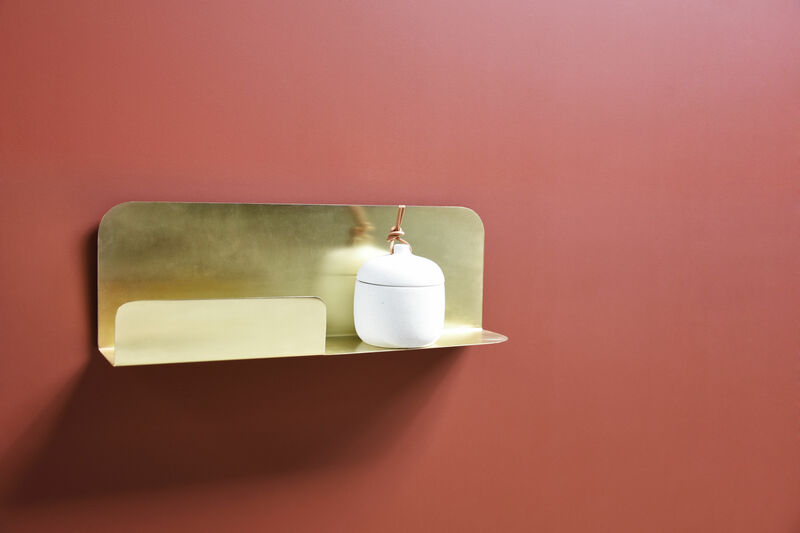 Archal has a delicate base in order to showcase your favourite items like museum pieces! 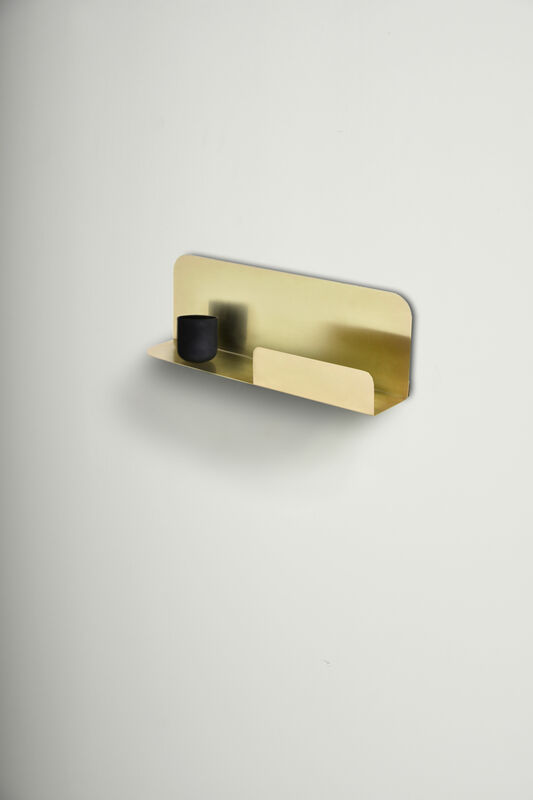 The little practical detail: this shelf is reversible and can be fixed to the wall easily on the base of your choice. 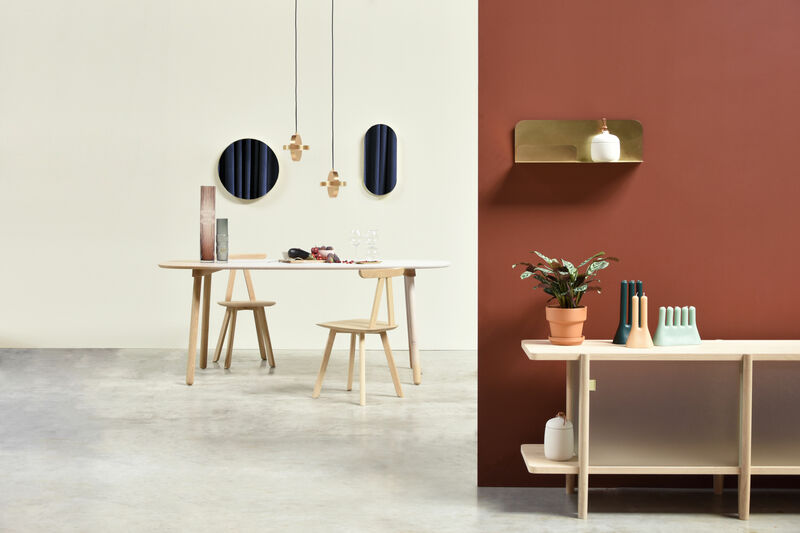 It is also possible to assemble several shelves from the same collection in order to create a stand-out floating decoration.